Rising energy costs are compelling many organizations to optimize their computing environments. In fact, energy costs have quickly become the fastest growing operating cost. 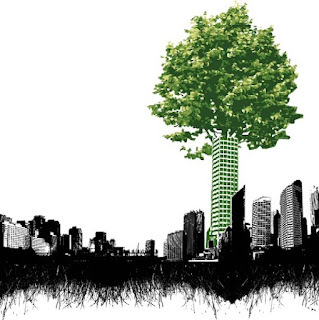 Many buildings & homes are now entering take a part of new conservation and "green" initiatives. Security services may seem far detached from the world of recycling and eco-friendliness. But the two can work in harmony. We’ve put together a few ways that remote monitoring stations, and the security industry in general, can still make a positive impact on the environment. All the responsibility lies with the manufacturers of Electronic security surveillance equipment, Consumer/Bulk Consumer, Dismantler and Recycler. Manufacturer’s responsibility to reduce their carbon footprint. The manufacturer shall be responsible to collect e-waste generated during the manufacture of any electrical and electronic equipment and channelise it for recycling or disposal. The import of electrical and electronic equipment shall be allowed only to producers having Extended Producer Responsibility-Authorization and also filing annual returns to the Central Pollution Control Board on or before 30thJune of following financial year. Manufacturers can also make a difference by reducing the amount of paperwork that comes with their products. For instance, brochures and manuals can be replaced with CD-ROMs. Manufacturers in all types of industries are working to minimise packaging used for their products. Manufacturers of security surveillance equipment are not exempt from this: whether they are reducing the impact of current packaging by producing it from recycled materials or altering it all together to reduce the size and quantity of materials used. Consumer responsibility to know life span of electronic surveillance equipment with how to exchange / disposal of e-waste as per Indian Acts and Rules. Consumers or bulk consumers shall ensure that e-waste generated by them is channelized to authorized collection centre or registered dismantler(s) or recycler(s) or returned to the pick up or take back services provided by the producers and also shall maintain the records of e-waste generated by the bulk consumer. Consumers must buy only those products that are energy efficient. E-wastes should never be disposed with garbage and other household wastes. e-waste’ means waste electrical and electronic equipment, "Electronic waste" may be defined as discarded computers, office electronic equipment, entertainment device electronics, security systems equipment, mobile phones, television sets, air conditioning and refrigerators. This includes used electronics which are destined for reuse, resale, salvage, recycling, or disposal. Others are re-usable (working and repairable electronics) and secondary scrap (copper, steel, plastic, etc.) to be "commodities", and reserve the term "waste" for residue or material which is dumped by the buyer rather than recycled, including residue from reuse and recycling operations. Properly disposing of or reusing electronics can help prevent health problems, reduce greenhouse-gas emissions. Reuse and refurbishing offer a more environmentally friendly and socially conscious alternative to down cycling processes. Every recycler shall ensure that the facility and recycling process shall be in accordance with the guidelines of the Central Pollution Control Board from time to time and residue is disposed of in a hazardous waste treatment storage disposal facility. However, there are numerous ways that remote monitoring stations and security installers can also make a positive impact with environmental initiatives. Moving toward sustainability through creating an eco-friendly security control room / PSIM doesn’t have to be expensive. The future of all security systems is IP based, this means that CCTV, Access Control, Intruder and Fire Alarms will be computer based. Analogue and standalone systems are becoming more redundant and technology is moving rapidly towards converging all these IP based systems onto a single software management platform. Some of these ideas are best suites for when you are building, remodeling or refurnishing your command control centre, but others can be applied at any time. It is a costly renovation bringing in new displays for your remote monitoring team but it is often a necessary upgrade. When you do make the change consider opting for LED or plasma displays, which are far more efficient that cathode ray tube monitors. While it’s important for everyone to be able to see what they are doing, turning down the lights can help to make CCTV monitor screens more visible while at the same time helping to reduce your carbon footprint in a direct way. Make sure everyone is comfortable with the lighting, and no one feels tempted to drift off to sleep. Using recycled furniture can in fact be one of the easiest and most cost effective ways to reduce your ecological footprint. These desks can then be refurbished and customised to your needs by most used furniture dealers. Work with end-users and monitoring stations to provide a fantastic security system, which consists of surveillance equipment that complies with environmental guidelines for electrical equipment. Always ensure that the supplier of the surveillance equipment complies with WEEE (Waste Electrical and Electronic Equipment) regulations. This simply means that your customers, and you as the installer, have an easy way to dispose of old electronic security equipment in an environmentally friendly manner. Waste management is one of the most important things to look at when trying to become greener in the workplace. Everyone pretty much has a rubbish bin at their desks, and most companies recycle to some degree. But take recycling one step further and add small recycling receptacles at each desk. Basically, any spare receptacle will do but saving your team trips away from their phones can keep things like drink bottles, food paper waist and other recyclables out of their rubbish, and out of landfills. In a busy security control centre with lives on the line, there’s really not much time to think about getting up to go recycle, but if you allow eating or drinking in your dispatch centre, you should think about adding recycling bins and see how much recyclable material you collect! Power over Ethernet (PoE) is a technology for wired Ethernet local-area networks that allows the electrical current necessary for the operation of each device to be carried by the data cables rather than by power cords. This minimizes the number of wires that must be strung in order to install the network. The result is lower cost, less downtime, easier maintenance and greater installation flexibility than with traditional wiring. Additionally, using PoE it is possible to provide the data required for network software to reduce enterprise energy consumption with better power allocation and management. Video analytics can play a sizeable role in reducing video storage requirements by only recording when relevant activity occurs. This, in turn, reduces space and energy requirements. It should also be noted that video analytics are significantly more accurate at detecting relevant activity than video motion detection (VMD), which means less storage is wasted for false events. In a typical surveillance environment not using video analytics for event-based recording, the amount of storage required for 16 cameras, storing 24 fps at 640x480 resolution for 7 days using MPEG-4 is about 20GB per camera. Studies have shown in a difficult outdoor environment that using video analytics enabled results in storage savings of more than 50% as compared to DVRs using VMD. With video analytics, video recordings caused by irrelevant background noise is greatly reduced, resulting in less disk space required for the same 7-day period. Better still, video analytics also reduces rack space and electricity dedicated for storage. Unfortunately, in many cases video analytics is supplied by a different vendor than what was used for video recording. By adding an additional piece of hardware for analytics, which runs parallel to the existing recording product (such as a DVR or NVR), it undermines the green IT strategy by duplicating unnecessary hardware. By using a single software product for both video management and video analytics, users are able to take full advantage of the cost-saving benefits without the corresponding server increase for running analytics. Remote monitoring stations or security control room (PSIM) run 24/7, with CCTV monitors and PCs continually turned on so operators can view sites when alarms are detected. Because this it is essential that the systems opted for are environmentally friendly. Consider upgrading your current PCs. By consolidating operator nodes, that may have two or three PCs, to just one modern PC you can make a huge difference to the efficiency of your security services – and reduce your carbon footprint. Instead, through using Microsoft 7 on the new PCs we will be able to run software that is only compatible with older versions of Microsoft. Most CCTV deployments today make inefficient use of the energy they consume is hardly a surprise. With industry research estimates that more than 50 percent of the energy used in the server room goes to power and cooling equipment rather than computations and processing, the true costs of running excess servers and storage are not well understood. IP surveillance offers clear advantages over analog CCTV or DVR deployments with significant savings as a result of sharing existing network infrastructure, computation and storage. Remember, if you decide to opt for reducing the number of your PCs, you will need to comply with WEEE guidelines when disposing of your old hardware. Plants help to purify the air naturally without electricity, while at the same time providing a moral booster. Succulents don’t take much water or care but can also be a great decoration for any desk or office space, even a security control console. 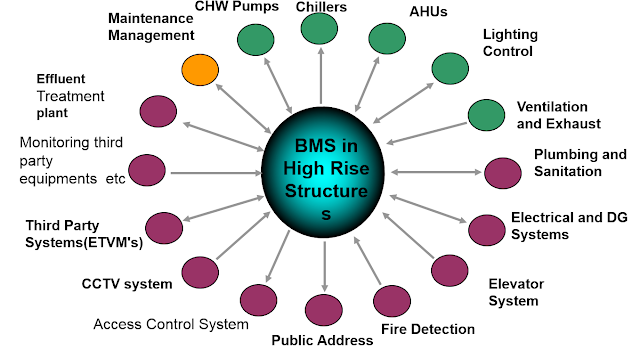 Incorporating the above mentioned nine approaches will enable you to both reduce energy consumption and the environmental impact. And saving money via IP video surveillance is a welcome change from the pervasive mindset that green initiatives must be costly. When you consider installing a home security system, you may not think about the eco-friendliness of your security strategy. However, technology is allowing people to greatly reduce the amount of energy their homes use—including the energy used to power home security systems themselves and the other security measures commonly used by homeowners. 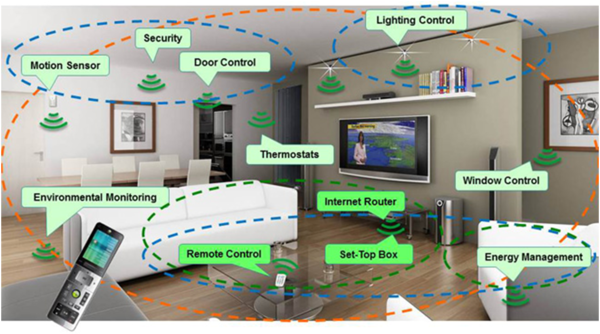 In fact, eco-friendliness and the technology behind many security systems are natural partners. Wireless alarm systems, paperless billing and interactive contacting methods have made many home security systems environmentally friendly. Wireless alarm systems require no drilling through walls or installing cables, thus making them good for the environment. Professional alarm monitoring companies are switching to paperless billing methods and this results in saving paper and supplies. Interactive contacting methods include sending text messages to smartphones or other electronic devices when the homeowner’s security alarm goes off. New methods of communication delivers convenience and better response times for owners of newer home security systems. Here are five tips for making your home security strategy as environmentally-friendly as possible. 1. Use Outdoor Lighting with Motion Detectors Leaving floodlights on outside all the time may deny intruders the cover of darkness they seek, but this practice is highly energy-inefficient. Motion detector lights are great for home security whether you're home or away because they come on when they detect motion and can startle a burglar into leaving. They're also great if you arrive home after dark because they illuminate your path to the door. When properly aimed, they won't come on every time a stray cat crosses your yard. What's even better is that today you can get motion sensor lights that are solar-powered. They charge up during the daytime and are ready to switch on after dark whenever the motion detector is triggered. 2. Securing Doors and Windows. Many people forget to check their windows to see if they are locked. Surprisingly, a large number of burglars admit they went through an unlocked window. Make it more difficult for a burglar to enter these areas by installing high-quality locks on doors and windows. You can also buy window and door sensors that will sound an audible alarm if someone opens them. Some window sensors are designed to know when glass breaks. Glass breakage triggers an alarm and can scare away a potential burglar. The doors leading into your home should be heavy and well-made. Buy the best doors you can afford and install quality locks. Deadbolt locks should be installed correctly to withstand someone trying to kick the door in. A properly installed deadbolt will hold and not give way. Keep your doors locked at all times even when you are at home. If you have a large family, this may be difficult but it is necessary. You can teach children of all ages to lock the door behind them. Soon, it becomes a habit and you won’t have to keep reminding them. 3. Use Lighting Efficiently While Away Using multiple light timers on different on/off cycles can go a long way toward making your home appear occupied. It can also help you save significantly over leaving lights on all the time. You can also make eco-friendly choices in your light bulbs. LED bulbs are far more energy-efficient than incandescent bulbs, using 80% less energy and lasting for years. They're more expensive up front, but generally pay for themselves after 18 months, and can continue working for up to a decade after that, keeping your energy consumption for lighting down. 4. Improving your security and safety at home starts with choosing quality equipment. Surveillance cameras do a great job of monitoring the outside of your home. These cameras are available with motion detecting capabilities. This can save the life of your battery and spare you hours of unnecessary review of images. Motion detecting cameras will only start recording when it senses movement. Choose a surveillance camera that has the ability to record when there is a low level of light available. You can find high-quality surveillance cameras online at great prices. Choose a complete system to ensure the additional components are compatible with each other. You can find these cameras on sale several times a year. Make sure your surveillance camera system includes a warranty. 5. Medical Emergencies and Fire Alarms is under basic home security packages. You can also buy them at a security retail store and install them yourself. One advantage of using a fire alarm system is the ability to have the system connected to the fire department or the central monitoring station. When it comes to smoke and fire, it is important that swift action is taken. Consider installing fire sprinklers that will contain any fires that might break out while you’re gone. Smoke alarms detect smoke, while fire sprinklers go off if there is enough heat in the room. You can install a home security system that has a medical emergency option. These emergency buttons will contact your local emergency management team if activated. If you have small children, elderly adults or you are caring for someone with a medical condition, this option is available. 6. Lockup Your Valuables / expensive jewelry, guns and art collections at home. If you have valuable items that a burglar would like to steal, consider buying a wall safe. These safes are available in a variety of sizes and can be placed in discreet areas of the home. You can get some ideas by searching online for wall safes. Many people leave expensive jewelry lying on the counter top or in the bathroom. This makes these items easy to steal. Most burglars love jewelry because of the increase in the price of gold. They are also easy to pawn at a pawn shop. Consider locking these items up or put them in a safe deposit box at the bank. A common burglar will make the master bedroom their first stop. That’s because this is where the jewelry, guns and cash are often stored. 7. Work with Your Neighbors to Improve Security Some of the best home security practices don't involve energy usage at all. Having a neighbor gather stray newspapers and door handle flyers while generally keeping an eye out for anything suspicious is about as eco-friendly as it gets. You can also arrange for neighbors to park in your driveway while you're on vacation, or make tire tracks in your driveway if it snows while you're out of town. Usually, the only "cost" for this is being neighborly yourself when they're out of town. Keeping your home secure doesn't have to increase energy consumption. In fact, many eco-friendly practices can improve home security, and many home security measures can be made energy-efficient. 8. Smart energy management. The vision for the solar-powered smart home is compelling. By combining rooftop PV with learning thermostats, web-connected appliances, energy monitoring software and battery storage, homeowners will soon have unprecedented control over their energy use. Smart meters provide the Smart Grid interface between you and your energy provider. Installed in place of your old, mechanical meter, these meters operate digitally, and allow for automated and complex transfers of information between your home and your energy provider. For instance, smart meters will deliver signals from your energy provider that can help you cut your energy costs. Smart meters also provide utilities with greater information about how much electricity is being used throughout their service areas. Solar app can help you monitor your photovoltaic solar system no matter the size – whether solar panels are on your home’s roof or powering your entire building. You can see all the data live, if you’re sitting in your living room or even if you’re escaping winter snow on a sunny beach halfway across the world. Not only do you get to access this info from your phone or tablet. 9. Noisy Dogs. If you own a dog that barks, then you have an additional layer of security available to you. One thing burglars do not like is a loud, noisy dog. Even if your dog is small, they make a lot of noise. Noise is a burglar’s main enemy. They will avoid homes with beware of dog signs or noisy little house dogs. Burglars will at times go around a neighborhood ringing on doorbells to see who is at home. When the homeowner opens the door they make up an excuse but make note of who is home. If they encounter a noisy dog, then this is noted as well. 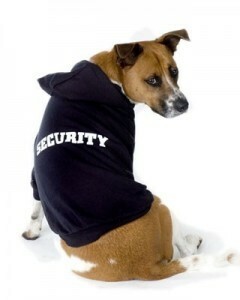 It will be much easier for the burglar to target another home without dogs. You can also buy devices that sound like you have a large dog. Search online to find these devices. They are inexpensive and simple to connect to your doorbell. India is on its way to develop its first ‘100 Smart Cities’. The ambitious project has been under the spotlight ever since the Narendra Modi government announced its vision of developing smart cities for India, and investing $1.2 billion to create them. The need to recast the urban landscape via smart cities arose with the increasing pace of migration that India witnessed in the past few years through deploying eco-friendly nature. This artical publish on Safe Secure Magazine Nov 2017 issue. Zebronics has put in place an all India collection mechanism to assist its customers for disposal of e-waste, assuring all its customers that all its e-waste collected will be recycled/disposed by an authorized recycling agency. For more info on how to dispose off Zebronics products at the end of life, kindly contact us at enquiry@zebronics.com or call us at +91 44 4000 0004. 54 A/D, Gandhi Nagar, Jammu-180004.